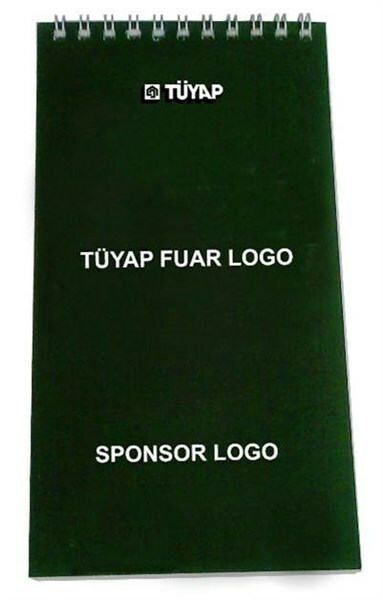 Sponsor firm logo as well as fair logo are printed on the note pad. 10 % of the produced lot will be delivered to the sponsoring firm. Handed out to exhibitors and visitors free of charge.